A team of Australian scientists has produced a precision laser device that creates an accurate international standard for temperature. Published Wednesday in the journal Nature Communications, the researchers at the University of Adelaide, University of Queensland and University of Western Australia, have come up with a new way to determine Boltzmann’s constant, a number which relates the motion of individual atoms to their temperature. The experiments contribute to a worldwide scientific effort in redefining the international unit of temperature: the kelvin. (Zero kelvin or ‘absolute zero’ is the absence of all thermal energy and equivalent to -273.15 degrees celsius). “Although temperature is a familiar concept to all of us, remarkably it can only be measured accurately at a handful of locations around the globe,” says project leader, Professor Andre Luiten, Director of the University of Adelaide’s Institute for Photonics and Advanced Sensing (IPAS), where the experiments were conducted. The researchers used lasers to make highly accurate measurements of the speed of individual atoms moving in a gas. By conducting the experiments with world-record precision the team came across a completely unexpected effect. The light has an apparent effect on the atoms themselves: the measurement itself ends up changing the result. One of the breakthroughs of the project was to develop an explanation of how this happened and ensuring that it didn’t affect the result. The development means any laboratory in the world with appropriate skills and equipment could accurately measure temperature. Further development could deliver this capability to industry – something never before possible. 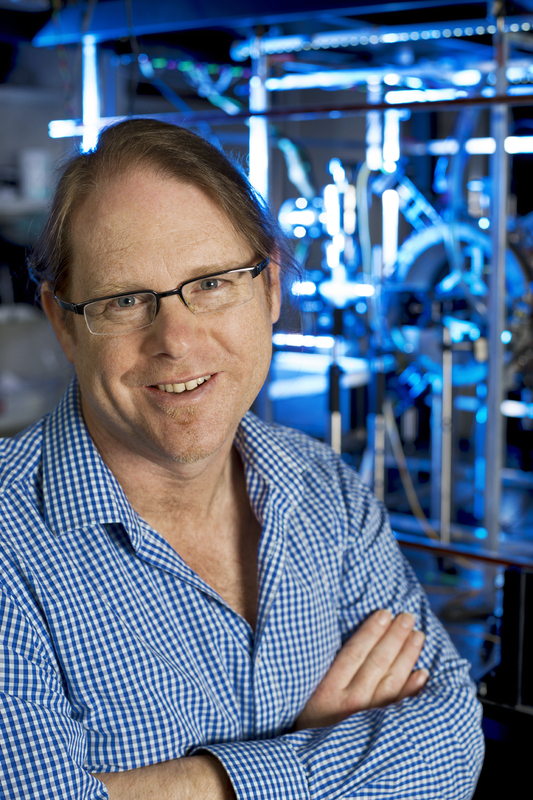 “Traditionally scientists kept a set of special clocks, rules and standard masses to define units such as the second, metre and kilogram,” says Associate Professor Tom Stace, from the ARC Centre for Engineered Quantum Systems at the University of Queensland. “Over the last 50 years we have been getting rid of these standards and replacing them with universal quantities such as the speed of light or the frequency at which certain atoms vibrate. “This program is completed for time, electrical quantities and length but mass and temperature still make use of special objects. In the case of temperature, it is based on the freezing point of a very special type of water to define the kelvin which makes it difficult for all laboratories around the world to agree about temperature. “When we started this research as an Australian Research Council Discovery Project in 2010, we decided to take a fundamentally different approach to measure temperature,” says Professor Eric May from the Centre for Energy at the University of Western Australia. “The results show that taking a different approach clearly pays off ─ it has allowed us to observe and explain new phenomena.